More acclaim for Physics for Gearheads by Randy Beikmann - order your copy today! Bentley Publishers is proud to announce that two of our recent books won awards at the 24th International Automotive Media Competition! 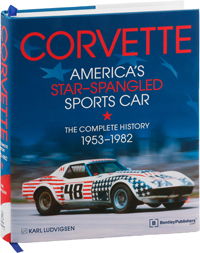 Karl Ludvigsen's Corvette - America's Star-Spangled Sports Car won the Silver Award for Book Writing-History: Single Marque while the BMW 3 Series (E90, E91, E92, E93) Service Manual: 2006-2011 won the Silver Award for Book Writing-Technical: How-To. The award winning publications of the 24th International Automotive Media Competition were announced on Sunday, July 26th, 2015, as part of the Concours d'Elegance of America held at the Inn at St. John's in Plymouth, MI. Administered by the International Society for Vehicle Preservation, the International Automotive Media Competition (IAMC), is a program to recognize and encourage excellence in all forms of automotive media. Judging of eligible entries is performed by a 22-member panel of automotive media professionals. For more information on the International Automotive Media Competition, visit their website at https://automediaregistry.org. 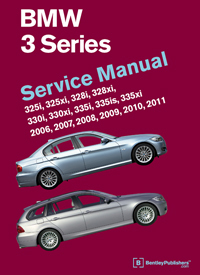 Full-color throughout and printed in the USA.